Air Canada has dropped the price of their non-stop flights from Toronto to San Antonio, Texas down to $281 CAD roundtrip including taxes. Look for the dates that are $299 roundtrip. 3. On Priceline, the price will show up as $216 USD roundtrip including taxes. Priceline is *always* in $USD. This will work out to $281 CAD roundtrip when booked using a Canadian credit card, and including the typical credit card foreign exchange fee. 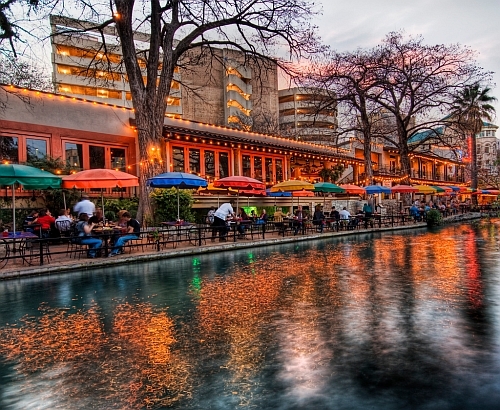 Update 1/5 - Non-stop flights from Toronto to San Antonio are available again today for $278 CAD roundtrip including taxes for travel in late January and February. toronto, yyz, flight deals, united states, air canada, texas, north america, san antonio and sat. No Responses to "Toronto to San Antonio, Texas - $278 CAD roundtrip including taxes | non-stop flights"